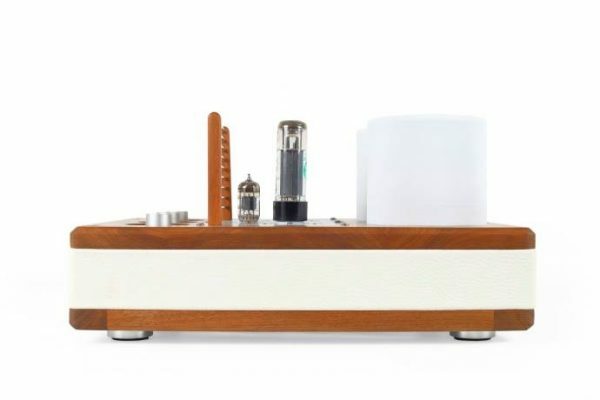 Disclaimer: The oBravo Ra C CU was sent to us and Headfonics directly by oBravo for the purpose of a double review. Special thanks go out to Phil from The Audconcierge for setting it all up. The non watermark pictures are full credit of Headfonics. Over the last few years the Taiwanese oBravo quickly got even more popular with a series of really good in ear monitors. Next to that oBravo also has a range of full sized headphones but for some reason we haven’t gotten to review these yet. For those of you who don’t know oBravo yet, here’s a little intro. At oBravo Technology music and sound are not only our passion, but our mission. We know that quality audio is like the air you breathe. You want it with you morning, noon and night. At home, at work and at play. It interprets, reflects and gives meaning to your mood and provides you a canvas to paint your feelings. oBravo has developed a full line of speakers, headphones and unique, innovative amplifier products and technologies. oBravo’s products are as unique in design, style and build quality. 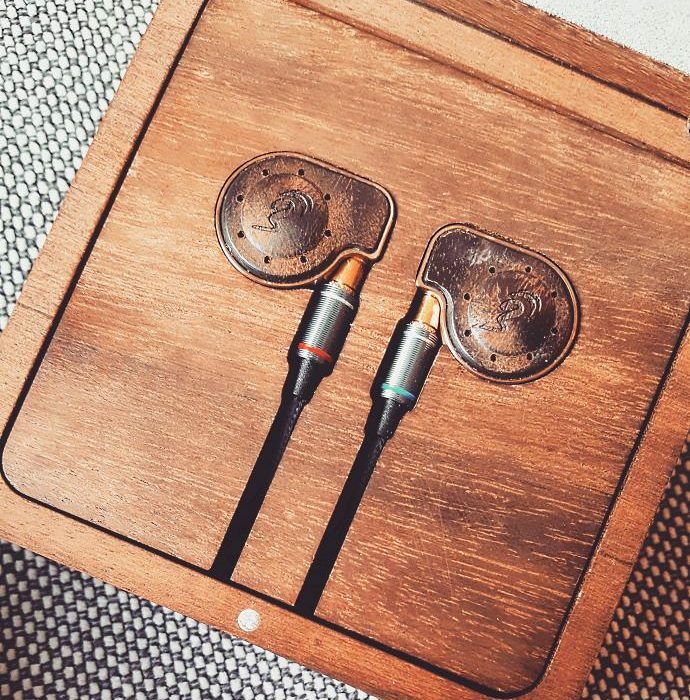 Fine audio is not just a feast for your ears, but your eyes as well. 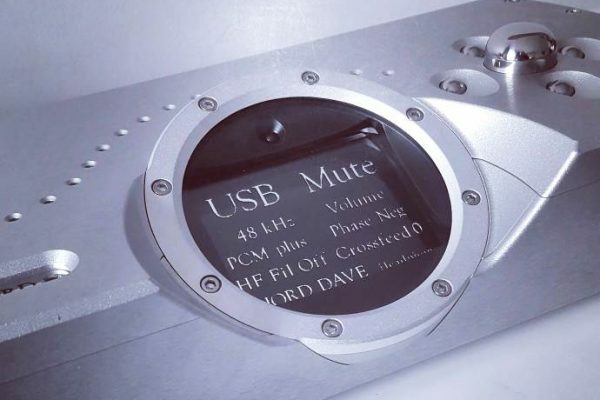 oBravo was established in 2006, dedicated in the research and development of audio systems and professionally focusing on technological advances of audio speakers, computer speakers, peripherals and Apple accessories. The company is dedicated to its core value of professional excellence, design, innovation, high quality, attitude and change. “Listening to music is enjoying the journey, audio system is merely a tool”. OBravo is also known for their extensive research development on the application of the Mylar ribbon and air motion transformer. At oBravo, technology, music and sound are not only their passion, but their mission. By using the uniquely developed air motion transformer, ribbon technology, quality materials and external enabled audio amplifier, making those small sized audio speakers produced by oBravo equivalent to the high-street standards, producing fabulously detailed audio entertainment! oBravo has distributors all over the world, but the one that’s most active on the web is Audio Sanctuary from the UK. Most of you will know Phil as he’s active on Head-Fi and Facebook as well replying to all kinds of questions. He’s a friendly, cool and helpful guy and if you want to know anything about oBravo, just get hold of him. The Ra C Cu is the top of the line version of this IEM and it has a copper main body. Before they were available, I also listened to the Ra C ti with the titanium body as well as the Ra C with the ceramic nozzle. At the time I listened to them I had no idea about the Ra pricing or which model was considered the “best one”, but my ears preferred the copper version most. The oBravo Ra C CU has a huge 16mm Neodymium dynamic driver and it couples that with a big 8mm AMT tweeter of the second generation. Back in 2016 we reviewed the oBravo Eamt-1A which at that time was oBravo’s top of the line model. The Eamt-1A – which was our 2016 universal monitor of that year – has a 13mm driver and uses the original 8mm AMT tweeter. That means both drivers got upgraded and as a result we sonically expect a lot from the Ra C Cu. Our friends from Audio Sanctuary describe the oBravo Ra C Cu as follows: With the Ra Cu earphone, oBravo have used one of the most advanced hi-fi driver technologies in the world called Air Motion Transformer II (AMTII). They have coupled this with a Neodymium Dynamic Driver (NDD) to deliver one of the most staggering, astonishing sounds conceivable from a universal earphone. These breathtaking earphones have been designed to deliver the very finest treble performance of any earphones in its class and cleanest bass conceivable by the human ear. Enhanced by its coaxial structure design, these earphones enable a brand new listening experience that envelops you entirely, creating a substantial soundstage that outperforms many headphones. More on its sound in a later chapter though. Keep reading. 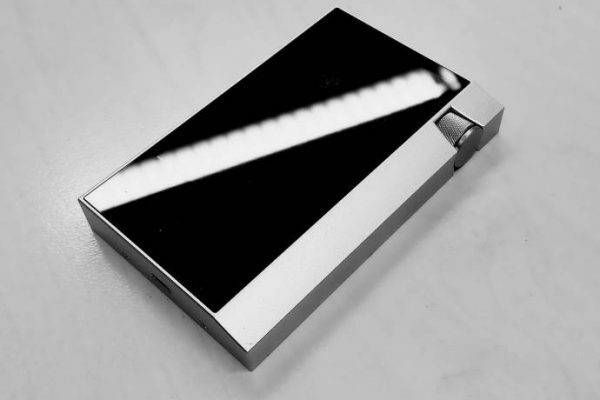 The AMT diaphragm is made of a Mylar ribbon bonded with conductive aluminum strips. It is equivalent in surface area to a conventional seven inch cone-type mid-range driver, but is accordion-folded down to a compact one-and-a-half-inch grouping for point-source dispersion. The low-mass diaphragm is suspended within a dipole magnetic field concentrating an intense field around said diaphragm. When signal current passes through the aluminum strips, the ensuing bellow-like motion of the folded pleats moves air five times faster than with a conventional cone driver. Air Motion Transformer (AMT) was developed and patented by German physicist Dr. Oskar Heil in the 1960s. The beauty about AMT is its ability to get sound to vibrate faster than a dome or cone can do. The diaphragm does not move back and forth in a simple piston-like motion, but compresses like an accordion. As the space between the folds narrows, the air within is released and then sucked back in as the space expands. These relatively small motions drive more air which is ideal for a high efficiency and faithful transient behavior. 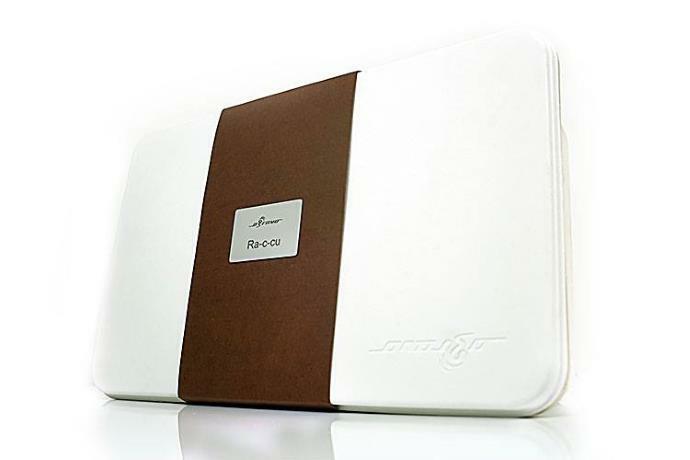 The oBravo Ra C Cu comes in a big white eco-friendly box with the oBravo name stamped into it. The first thing you see when you open the box is a nicely presented welcome message. Inside that big box you at the top level find the beautiful monitors, a quality 6.3mm adapter, the small box for on the go and the bigger box for on your desktop. Underneath this first level you’ll find the stock 1.2m 3.5mm cable, 3 sets of Comply Foam tips, a cleaning cloth and 3 sets of silicone tips. We also got sent a balanced cable with the Ra C Cu though I’m not sure this will always come with the standard box. The little box for on the go is made out of wood and it perfectly fits the monitors and the cable inside. I really like this box as it looks great and perfectly protects the monitors. At the same time the cable will never get tangled up because of the simple yet effective system where you wrap it around the wooden holder. 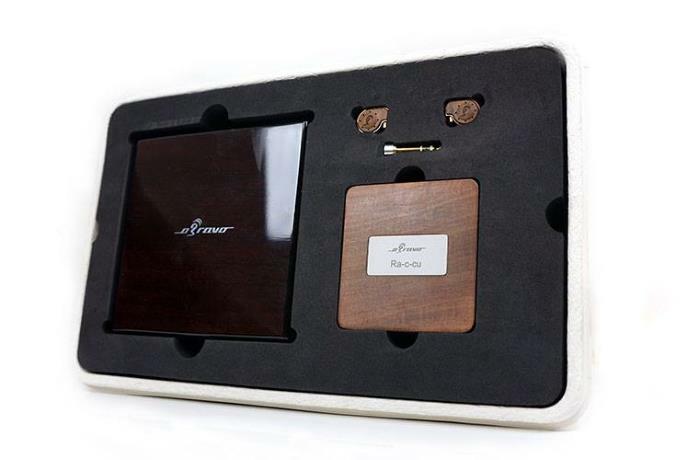 The bigger wooden box has a glossy finish and it’s very classy / ideal to put on your desk. The bottom is even finished in a kind of velour so it won’t scratch your desk’s surface. The top part of the inside of the box can be lifted up, so you can also keep the Ra’s cable safely stored underneath the monitors. The overall presentation is impressive, and for the price these are going for this is only normal. At he same time I have to admit I was a bit surprised to see the limited number of tips (1 set of foam, 1 silicon, both in 3 sizes) and lack of a nice aftermarket cable for an IEM at his level. I guess a couple of good comparisons might have been the Audeze LCD-i4 or the Shure KSE-1500? Of course, they aren’t the same price but they are TOTL IEMs and with the law of diminishing returns it would be a very interesting comparison.